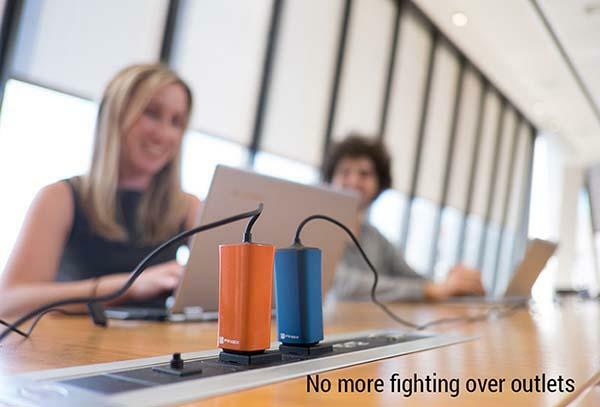 We seem to have gotten used to powering your laptop with a big and weighted laptop adapter, but a change is taking place. Curious? Let’s go on checking Dart, the world’s smallest laptop power adapter. 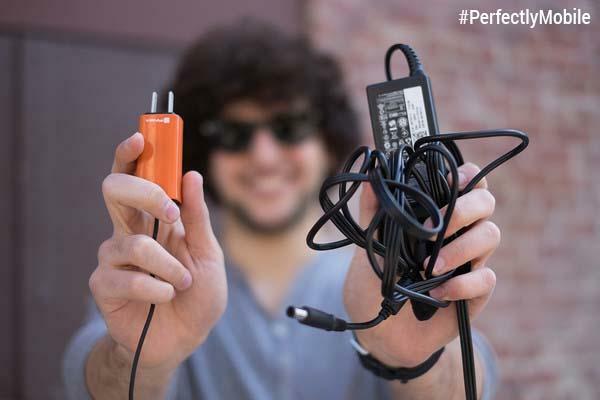 The Dart is the world’s smallest, lightest laptop adapter that measures 2.5 cubic inches and weights 60 grams. As shown in the images, the laptop power adapter features a sleek and compact design. With the help of Flnsix’s patented very high frequency (VHF) power conversion, the Dart can provide a high performance way to power your laptop and makes itself a lot smaller than normal laptop adapters for ultra portability, and the laptop power adapter comes with an extra USB port on its 6 feet cable in order to charge your smartphone, tablet or other USB gadgets. Apart from that, the Dart works well with laptops that have a voltage of 18-21V and a power level of ≤65 watts, and its model for MacBook is compatible with all MacBooks 65W and under. The team of Dart is raising fund and earning influence via Kickstarter. Pledging $89 will let you own the laptop power adapter. If you need it, jump to Kickstarter official site for more details or take a look at the following demo video first.